Inspiring Scotland and Scottish Government will be working together on a new national programme to raise understanding of autism in Scotland. 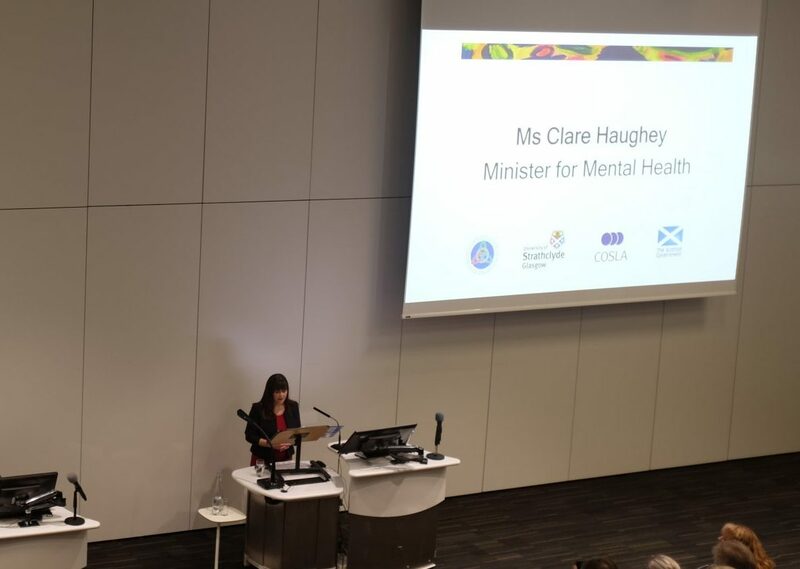 This announcement was made by Ms Claire Haughey, Minister for Mental Health, at the Scottish Strategy for Autism Seventh Annual Conference in Glasgow on the 26th March 2019. We welcome the Scottish Government’s focus on improving the lives of autistic people and are delighted to be a partner in that work. This new programme of work is a direct response to Scottish Government’s 2017 Engagement Exercise, which consulted with over 1,000 people – including autistic people, parents and carers and organisations. The consultation asked participants what changes need to be made for autistic people to enjoy healthier lives, have choice and control over services, live independently and be active citizens. You can follow @innovateautism on Twitter for the latest news.